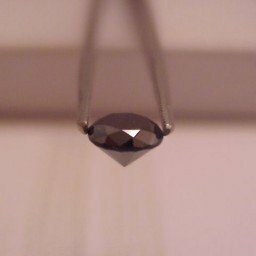 We have often been asked to offer loose gemstones on ebay, so here we go. We bring to you a selection of 100% natural black diamonds of the highest quality. This is a completely natural mined diamond with great luster and eye appeal. Perfect, polished and ready for the finest quality jewelry you want to design. Domestic insured shipping is $20.00, with each additional item adding only $1.00. Next Day Domestic Shipping is available upon request at actual cost. International insured shipping is $25.00, with each additional item also adding $1.00.